Not only are we a premium breeder of Doodles, we’re a family of avid dog lovers, as well. And at Goldenbelle Kennels, our top priority is finding our petite Goldendoodle puppies for sale caring and comfortable homes. That’s where you come in! At Goldenbelle Kennels, we breed puppies that range from petite, mini, medium and standard sizes, each ready to find their forever home. We also breed Double Doodles and Bernedoodles which are becoming increasingly popular family pets just like the Goldendoodle and Australian Labradoodle. Goldendoodles, Australian Labradoodles, Cavadoodles and Bernedoodles are beloved crossbreeds throughout the world! Goldendoodles derive their intelligence and loving nature from the Poodle and Golden Retriever families they originated from, while Australian Labradoodles derive their intelligence and therapy dog attributes from the Lab and Poodle. Cavadoodles are a cross between the Cavalier Spaniel and Poodle and Bernedoodles are a cross between the beloved, well-natured Bernese Mountain dog and Poodle. As all the dogs born here quickly become part of our family, it’s essential that we carefully screen prospective owners before offering them our Goldendoodle and tiny Goldendoodle puppies for sale. Not only does this ensure that each dog’s new family will provide them with the quality living environment they so greatly deserve, but it also gives us an opportunity to get to know you! As a premium breeder dedicated to raising top-quality pups, we take the time to make sure our mini Goldendoodle puppies for sale come ready with excellent health, outstanding temperaments and warm hearts. 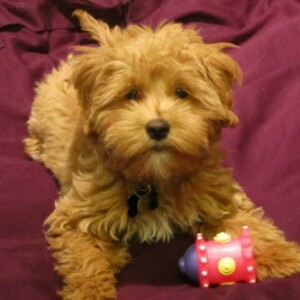 Each of our tiny Goldendoodle puppies for sale come with a 4-year health warranty. This means that if one of our puppies ever needs to be returned for health reasons, you can either obtain a new pup or receive a full refund. If you choose to keep a puppy diagnosed with a hereditary disease, you will be able to receive a new pup later when you’re ready. At Goldenbelle Kennels, we pride ourselves on being an ethical and reputable breeder. As soon as the puppies are born, we make sure to give them the utmost attention and love, so that their transition into your home will be seamless. We take the holistic approach whenever possible to provide you with petite, mini, and tiny Goldendoodle puppies for sale that have a great immune system now and for many years to come. To order NuVet, please call them at 800-474-7044 or visit their site here. At Goldenbelle Kennels, we look forward to helping you find the newest four-legged member of your family. 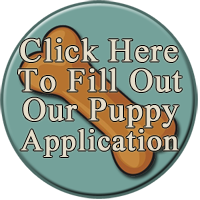 Give us a call at (519) 450-9820 to learn more about our puppies today. Prices: 2500. – shipping within Canada by plane 700.- by car .65 km both ways. Visits by appointment !! Petite Cavadoodle male ready May 11th. Mini ALD ready to go in July!! Click below to order dog food!! Dog Food: http://TLCPet.com/18661 Now available in the U.S.
Puppies receive a high quality NuVet immune booster supplement daily, they love the taste and I love the results. I highly recommend you keep you puppy on NuVet for its lifetime. Order NuVet here (1-800-474-7044) http://www.nuvet.com/63533. Contact Goldenbelle Kennels for the next step in adding a loving addition to your family. Please contact Helen 519-450-9820, call or text with any questions. Visits by appointment only!! I receive a high volume of calls and texts and sometimes find it difficult to get back to everyone in a timely manner so please feel free to keep calling till you reach me. My cell can be called or texted anytime 519-450-9820, even if I hear the phone I may not be able to answer if I’m in the middle of a training session or grooming a dog so please try back in a couple hours. I appreciate every single call and will try to connect with you asap its just not always possible to get back to you right away.